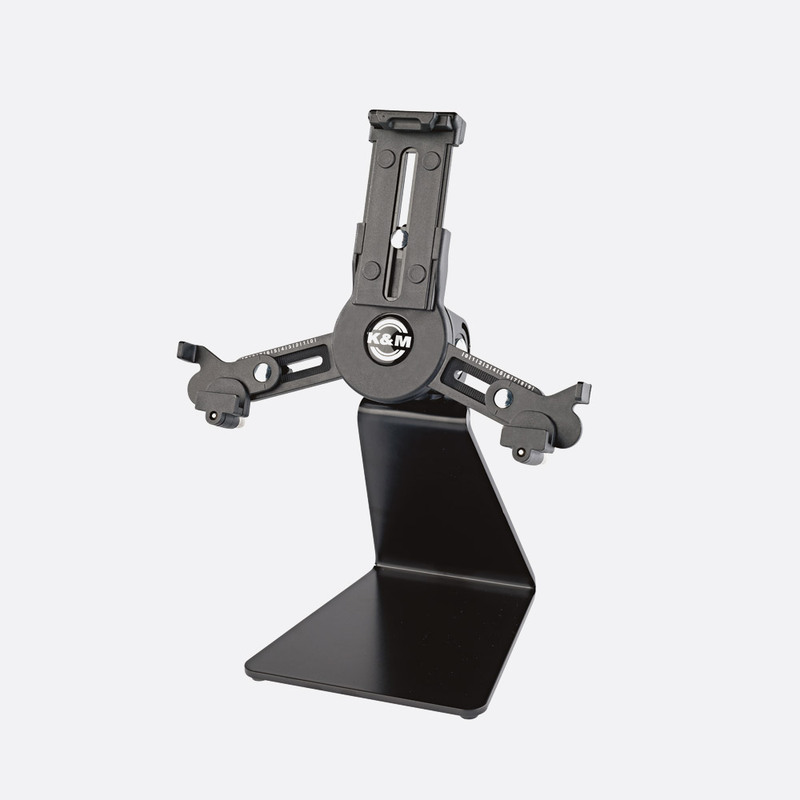 These holders mount tablet devices so that they are easily reached, whether in the studio, office, home, or on stage. 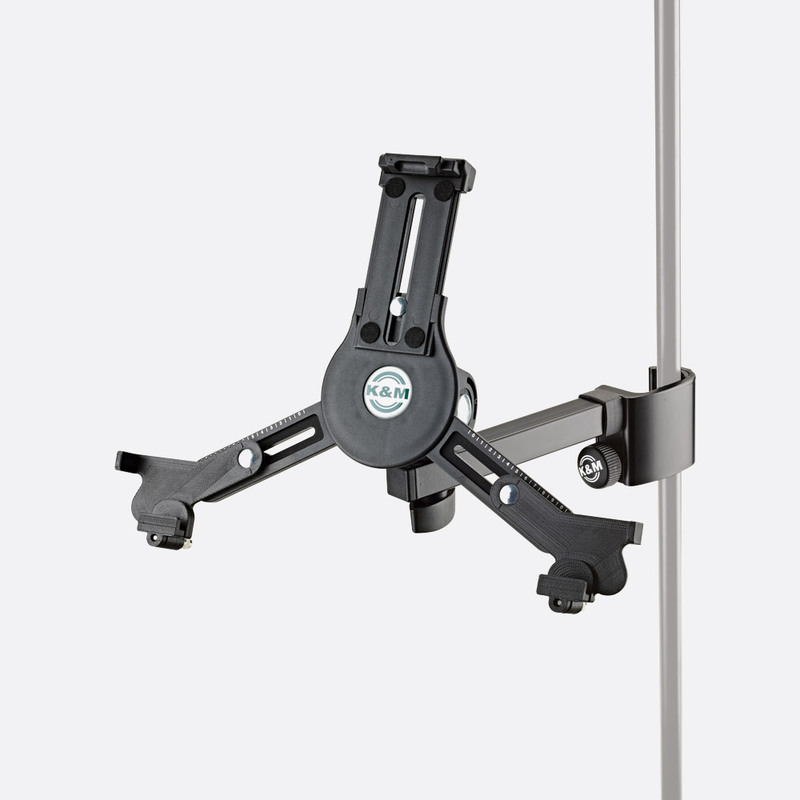 They adjust to suit a wide range of models and mount on tables, walls, and microphone stand threads, depending on model. This model accommodate a variety of tablets with differing height, width, and depths. 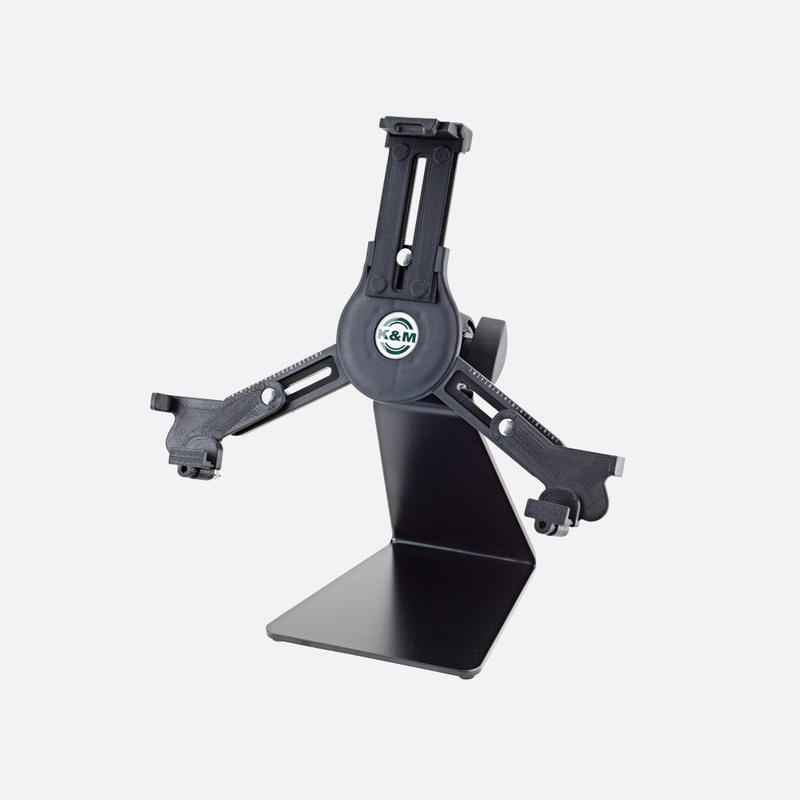 The plastic tablet clamp is compatible with devices such as Apple iPad, iPad 9.7, iPad Pro, Amazon Fire HDX 8.9, Google Nexus 9, and others of similar dimensions. On first use, the size range can be adjusted before clamp screws set the positions. Subsequent mounting and un-mounting can be done quickly using a snap lock. 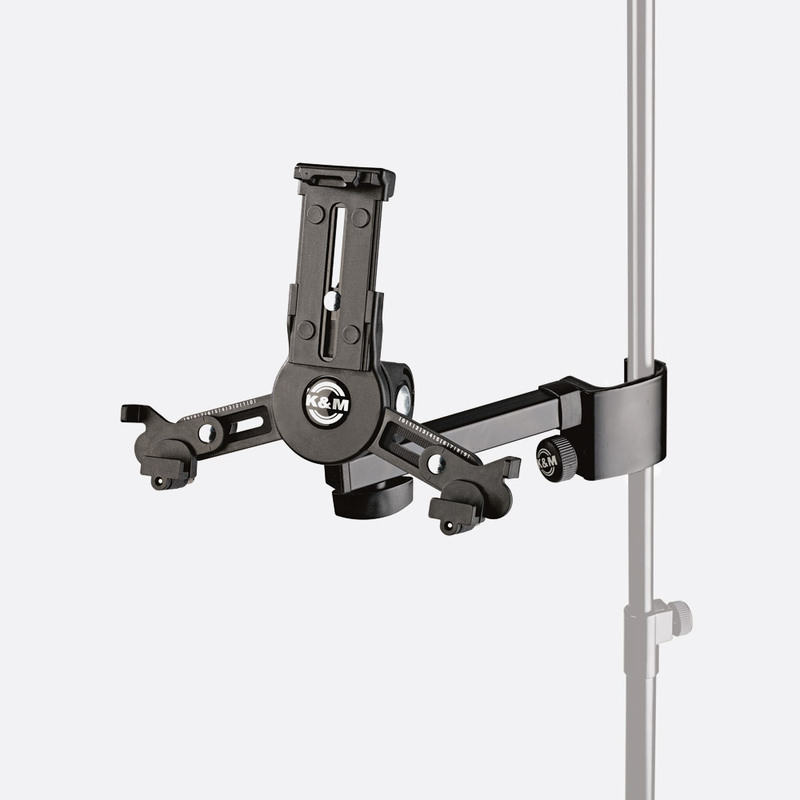 A wing nut on the rear of the bracket adjusts the angle at which the tablet is displayed; portrait or landscape positions can also be set. 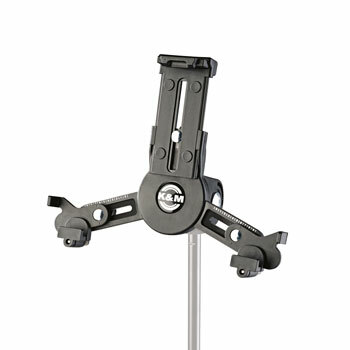 A standard 3/8-inch thread connects to microphone stands and accessories. Weight: 362g. 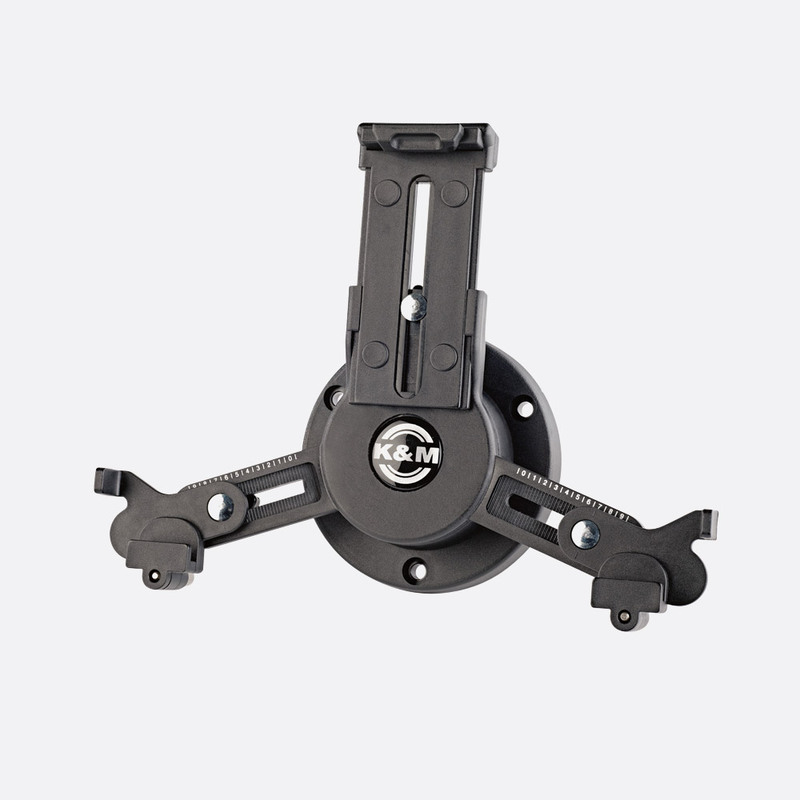 The holder is compatible with devices 5-11mm deep; 163-242mm high; 102-189mm wide. This has the same feature set as the 19795, but is compatible with larger tablets, such as iPad Air, iPad Pro, Samsung Galaxy Tab (from 9.7), Asus Transformer or Microsoft Surface and Surface Pro. Weight: 362g. The holder is compatible with devices 6 -11mm deep; 222 - 334mm high; 128 - 232mm wide. This is similar to the 19796 but with the larger compatibility of the 19790. Weight: 697g. This is similar to the 19795 but this model has a plate (with three holes) to mount on a wall, rather than a 3/8-inch thread. Weight: 204g. Similar to the 19799, this is compatible with larger devices, as the 19790. Weight: 204g. This is the same as the 19795 with the addition of a two-tiered stand that can be adjusted between heights of 700mm and 1550mm. 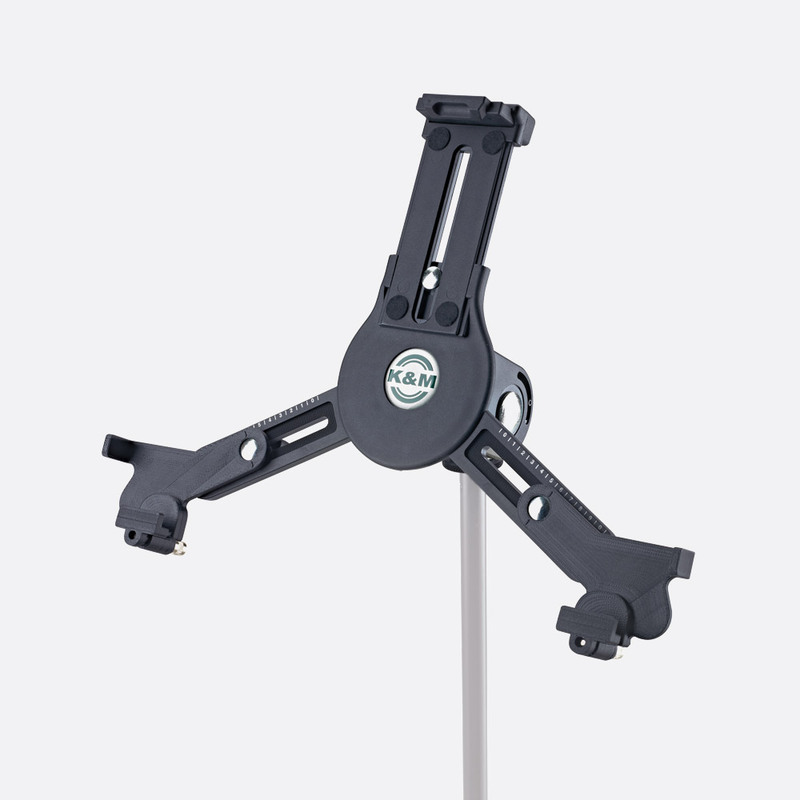 The tripod base of the stand has a diameter of 565mm when set up. Weight: 1.73kg. This is the same as the 19790 with the addition of a two-tiered stand that can be adjusted between heights of 700mm and 1550mm. 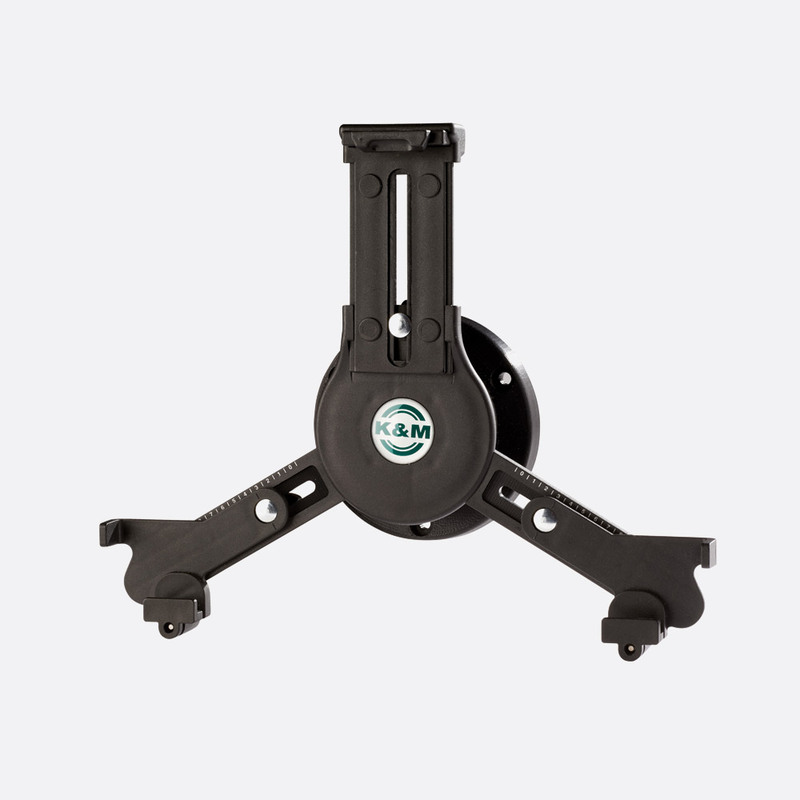 The tripod base of the stand has a diameter of 565mm when set up. Weight: 1.73kg. This has similar features and has the same compatibility with devices as the 19795. 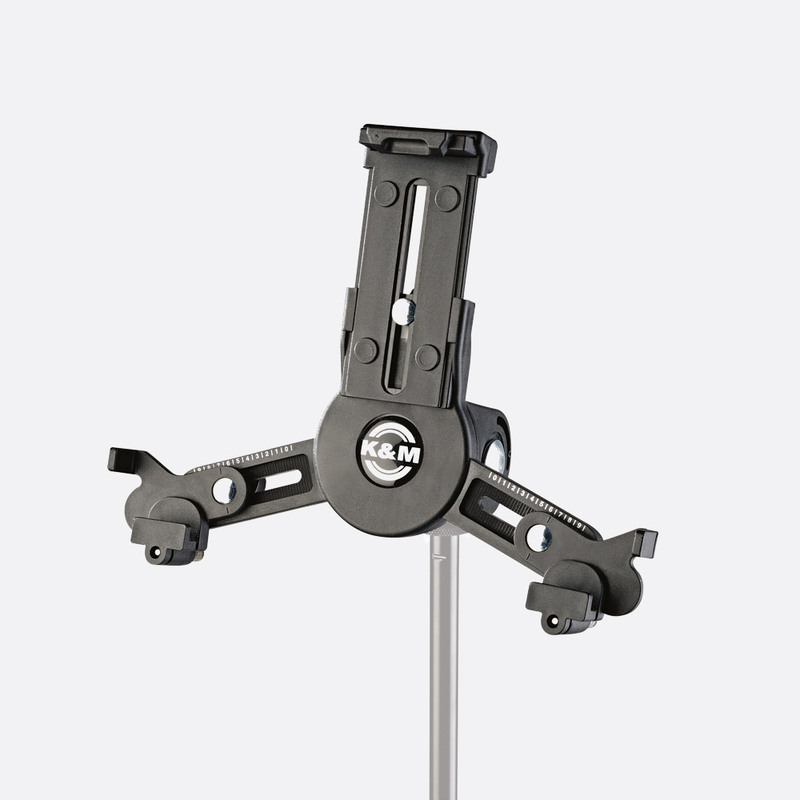 However, this model has a steel desk-top stand with a footprint of 140x145mm (WxD). The base of the stand has four transparent rubber feet to prevent any slipping or scratching of the desk-top surface. Weight: 1.304kg. This is like the 19797 but with the larger capacity of the 19790 tablet holder. Weight: 1.304kg.